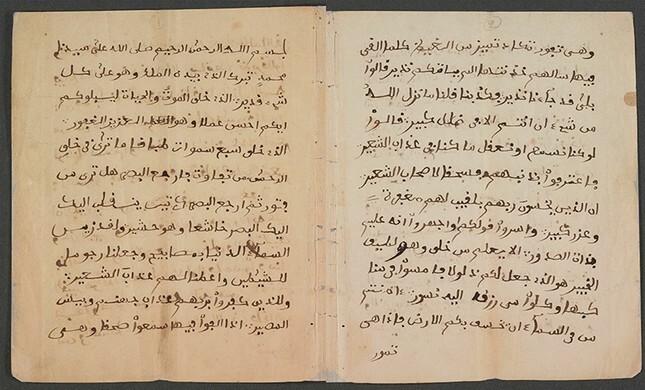 The U.S. Library of Congress has made the country's only known surviving slave narrative written in Arabic available on the internet. As one of the rare examples of a slave autobiography, this unique collection of texts acquired in 2017 sheds light on the early history of Islam and Muslims in the U.S. In 1831, Omar Ibn Said described his experiences and shared his intriguing riches to rags story in the autobiography. "The significance of this lies in the fact that such a biography was not edited by Said's owner, as those of other slaves written in English were, and is therefore more candid and more authentic," said Mary-Jane Deeb, head of the Library's African and Middle Eastern Division. Deeb said the document reveals that some slaves brought to the U.S. were followers of Islam, "an Abrahamic and monotheistic faith," counteracting earlier assumptions about African culture and religion. The Library of Congress' statement Tuesday called the autobiography "a historically unique and important primary source for those trying to understand the connections between the Muslim communities in Western Africa and the slaves who continued to practice Islamic faith after being captured during the Atlantic slave trade." According to his autobiography and the Library's records, Ibn Said was a wealthy, highly-educated member of the Fula ethnic group who was eventually sold into slavery. The Fula are the largest ethnic group in the Sahel and West African regions, and today number over 40 million people.